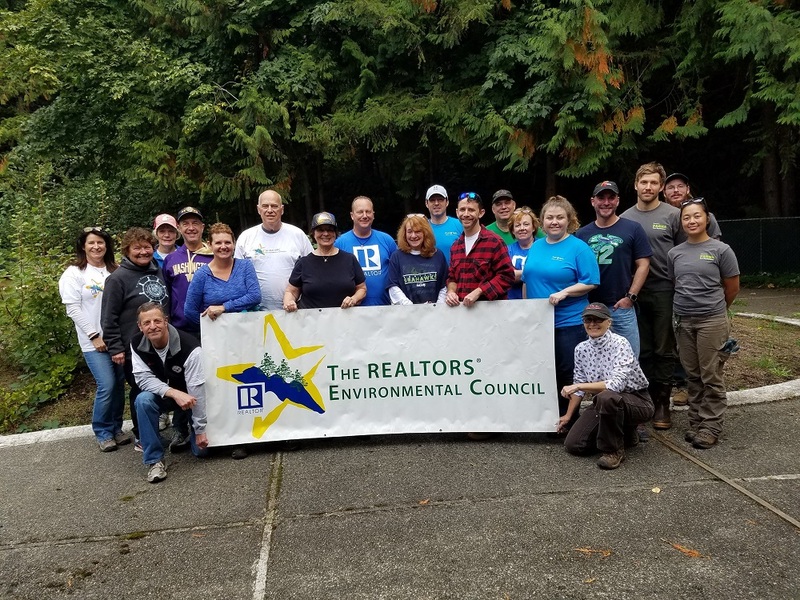 Armed with garden picks and shovels, a couple dozen volunteers and affiliate members from Seattle King County REALTORS® devoted a day of service in Issaquah to plant trees. 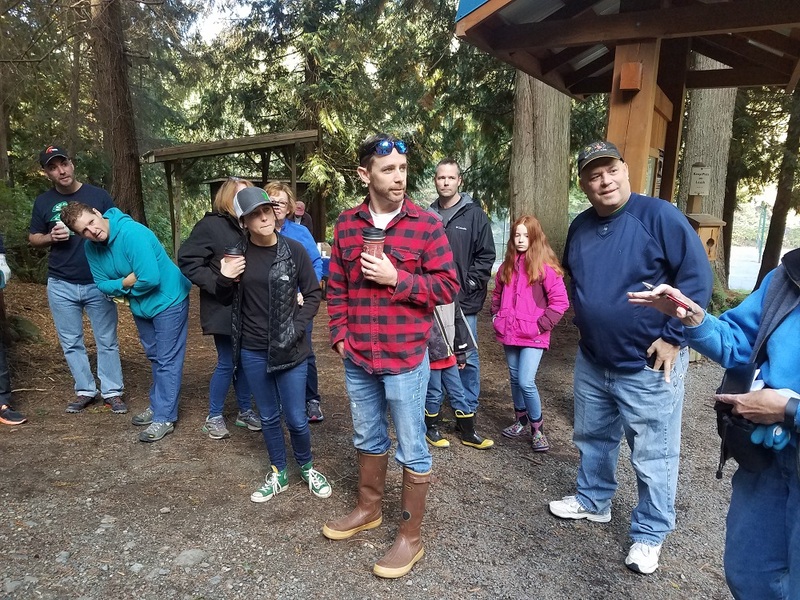 The event at the 730-acre Cougar/Squak Corridor Park marked the 11th annual TREC (The REALTORS® Environmental Council) project, a stewardship initiative of SKCR. 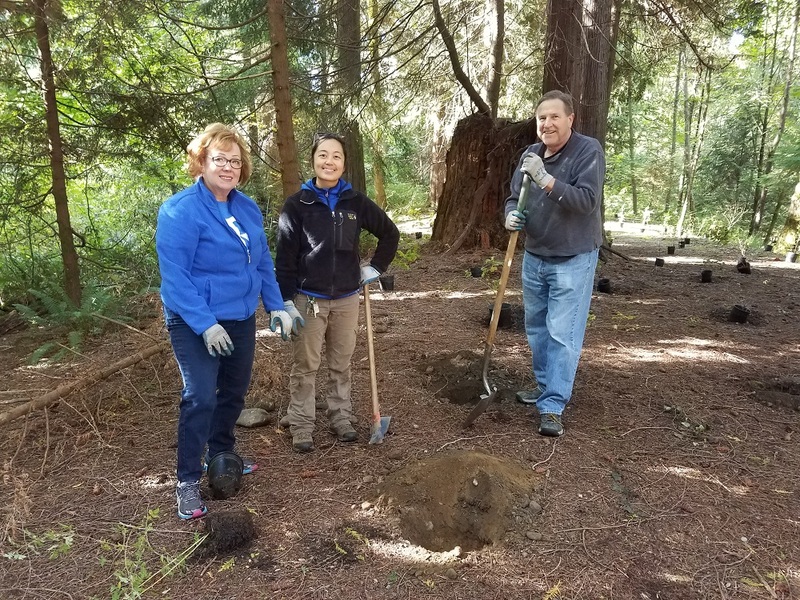 Volunteers worked under the supervision of Christine (Tina) Miller, project/program manager who oversees the volunteer program for King County’s Department and Natural Resources and Parks. She was joined by other parks personnel. 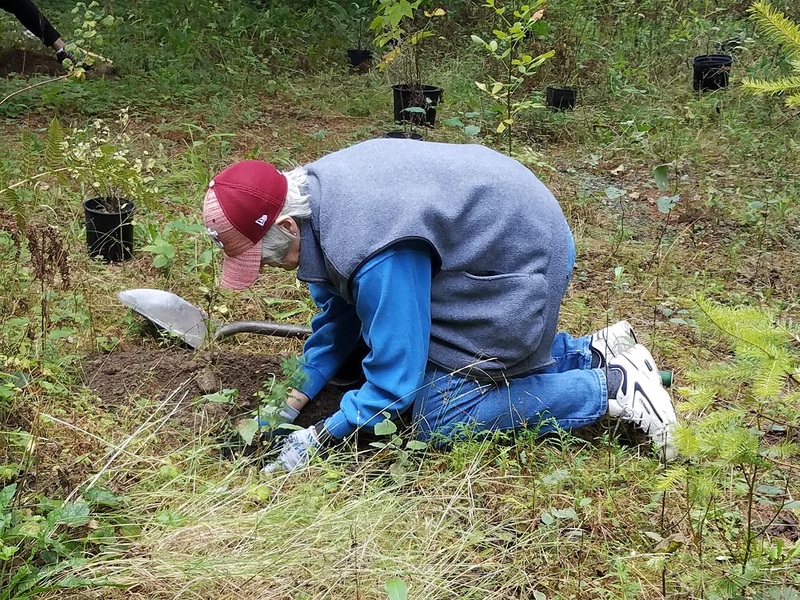 Over the course of several hours, SKCR volunteers planted 15 different species of trees and shrubs, including cedars, Douglas fir, Big Leaf Maple, Sitka spruce, Bitter cherry, and Oregon Ash. Shrubs included redosier dogwood, twinberry, salmon berry and ninebark. The parcel where REALTORS® worked was once a campground, evidenced in part by lots of gravel from former RV parking pads, one-time fire grates, and other camping-related debris. Located in the “Issaquah Alps,” the park protects the headwaters of a salmon-bearing stream, and features deep forests, wetlands, wildlife viewing, and hiking trails. It combines land King County has owned since the 1990s with a 226-acre parcel it purchased in 2014 with help from The Trust for Public Land. 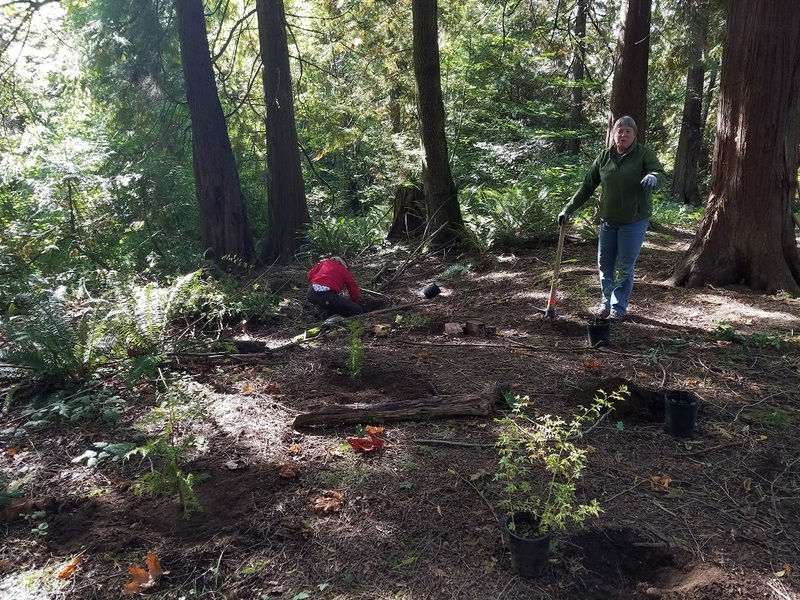 The project is part of King County’s 2015 Strategic Climate Action Plan to plant one million trees by 2020, including 80,000 this season. The Climate Action Plan aims to reduce carbon pollution and to prepare communities for the impacts of a changing climate. 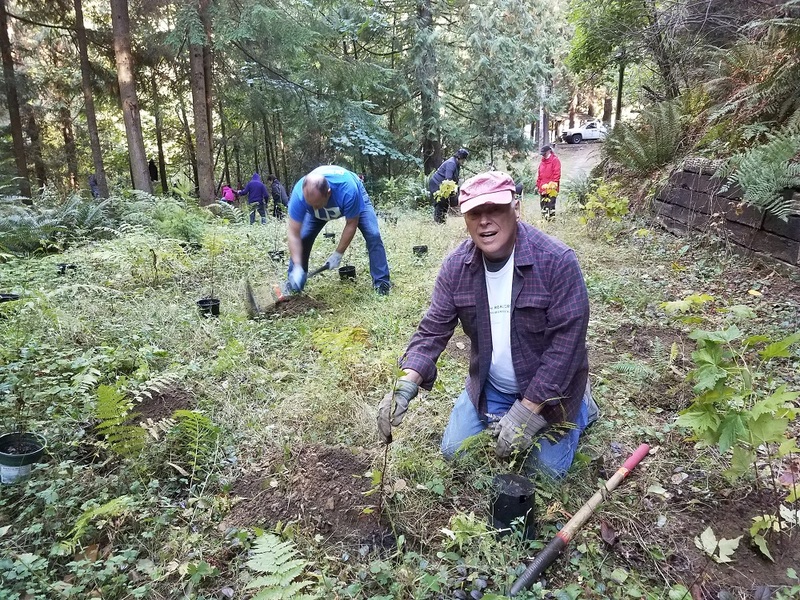 In past years – and regardless of weather conditions – volunteers ranging in age from 8 to 87 have cleared non-native invasive vegetation, planted native trees and shrubs, and spread mulch at parks and open spaces around King County. Areas served include parks and open spaces in Auburn, Bellevue, Federal Way, Issaquah, Kirkland, Renton, Seattle, Shoreline, and Tukwila.